The Raj Bhavan, or Government House, dominates spacious grounds overlooking Calcutta’s maidan, a vast open park originally set aside for a military parade ground, in the vicinity of Fort William. Now the official residence of the Governor of West Bengal, its roots like deep in the history of English rule. When Richard Wellesley, 1st Marquess Wellesley and older brother to the Duke of Wellington arrived in India as Governor General of Bengal in 1798 he discovered that his living quarters consisted of rented space on land formerly belonging to the Nawab of Chitpur. He found the situation unsuitable. Wellesley believed Bengal should be ruled from a palace, a visible seat of English power—and his own consequence. He initiated plans for such a structure soon after his arrival. The project would take over four years to complete and cost well over $4.5 million in today’s dollars. The Bengal Presidency employed a civil engineer at the time, an Italian named Edward Tiretta. Wellesley gave responsibility for the design to a captain in the Bengal engineers, Charles Wyatt. Wyatt’s work had been primarily military, but he was, in fact, a member of a well-known family of architects. His uncle, Samuel Wyatt, had been Robert Adams’s clerk of works in the building of Kedleston Hall in Derbyshire, home of he Curzon family, some years before, before going on to a number of major projects on his own. Wyatt’s design, a central block with pavilions linked to the center by curving corridors, derived directly from the Kedleston plan, but on a grander scale to conform with Wellesley’s notions of imperial power. The expansive wings (four to Kedleston’s two) allowed good ventilation in the tropical climate and views of the twenty-seven acre park surrounding it. By 1802 the palace could be used for entertaining. That is precisely what Wellesley intended. From the massive facade to the four gates over which bronze lions prowled as if guarding British sovereignty, the place declared the relationship between overlord and subjects more eloquently than any document could. In 1803, Wellesley took up residence. His educational projects and commercial policies—and likely his unauthorized building project as well—brought him into frequent conflict with the East India Company directors. He resigned in 1805, leaving Calcutta with a magnificent building. When power in India transferred from the East India Company to the British Crown in 1858, the house became the residence of the Viceroy of India. When the capital of India was moved from Calcutta to Delhi in 1911, the house became the residence of the Lieutenant Governor of Bengal. Since Independence in 1947 it has been the official residence of the Governor of West Bengal. English power is gone; the house remains. Captain Fred Wheatly’s comfortable life on the fringes of Bengal comes crashing down around him when his mistress dies, leaving him with two children he never expected to have to raise. When he chooses justice over army regulations, he’s forced to resign his position, leaving him with no way to support his unexpected family. He’s already had enough failures in his life. The last thing he needs is an attractive, interfering woman bedeviling his steps, reminding him of his duties. All widowed Clare Armbruster needs is her brother’s signature on a legal document to be free of her past. After a failed marriage, and still mourning the loss of a child, she’s had it up to her ears with the assumptions she doesn’t know how to take care of herself, that what she needs is a husband. She certainly doesn’t need a great lout of a captain who can’t figure out what to do with his daughters. If only the frightened little girls didn’t need her help so badly. Clare has made mistakes in the past. Can she trust Fred now? Can she trust herself? Captain Wheatly isn’t ashamed of his aristocratic heritage, but he doesn’t need his family and they’ve certainly never needed him. But with no more military career and two half-caste daughters to support, Fred must turn once more—as a failure—to the family he let down so often in the past. Can two hearts rise above past failures to forge a future together? Clare had stopped listening. A prickle of awareness drew her gaze to the entrance where another man entered. He stood well above average height, he radiated coiled strength, and her eyes found his auburn hair unerringly. Captain Wheatly had come. The rapid acceleration of her heart took her off guard. Why should I care that he’s here? Lieutenant? Clare blinked to clear her head, only to see Mrs. Davis’s icy glare turned on Captain Wheatly. “Is that your strange captain from the black neighborhood?” she demanded in a faux whisper. The lieutenant’s avid curiosity added to Clare’s discomfort. “Is that Wheatly in a captain’s uniform? I thought they might demote him after the business with Cornell,” he volunteered. Clare forced herself to turn to the lieutenant. “Cornell?” she asked to deflect Mrs. Davis’s questions. “Collector at Dehrapur. Wheatly assaulted the man. Unprovoked, I heard,” the lieutenant answered. She looked back, unable to stop herself. Merciful angels, he’s seen me. She watched the captain start toward them. At least Gleason could make introductions. Before she could finish, Colonel Davis, who had been coming from the other direction, met the captain and greeted him with a smile. Clare couldn’t hear the words, but Captain Wheatly’s self-deprecating grin seemed to indicate at least a modicum of respect. The two men approached together. Captain Wheatly looked discomfited by that revelation. Gleason looked skeptical. “The Duke of Murnane?” he gasped. Before anyone could answer, the small orchestra hired for the occasion began to play, and the captain cocked an eyebrow as if to ask a question. “I think the captain wants a dance, Miss Armbruster. It’s your patriotic duty to see to the morale of the troops,” the colonel said coyly. Captain Wheatly put out a gloved hand, and she put her equally gloved hand in his. Walking away from Gleason and the Davises, she admitted two things to herself. She was glad he came, and she planned to enjoy the dance. Three cousins, torn apart by lies and deceit and driven to the far reaches of the empire, struggle to find their way home. 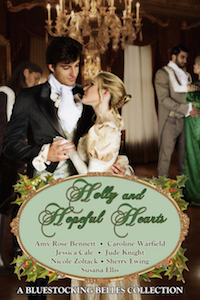 Caroline Warfield has been many things (even a nun), but above all she is a romantic. Having retired to the urban wilds of eastern Pennsylvania, she lets her characters lead her to adventures while she nudges them to explore the riskiest territory of all, the human heart. She is a regular contributor to History Imagined and to The Teatime Tattler, a blog in the shape of a fictional nineteenth century scandal sheet. Her current series, Children of Empire, is set in the early Victorian era and focuses on three cousins, driven apart by lies and deceit, who must find their way back from the distant reaches of the empire. The second book in the series, The Reluctant Wife, set in India and England, will be released April 26. Click here to find out more about her books. After a modestly successful military career, John By was given an assignment the he might well have believed would bring him promotion and renown. He came from modest origins and, while competent, had never achieved the heights of success. He is in some ways a typical professional soldier of the Napoleonic Era. He died in obscurity. So why is he remembered today? He was assigned to design an entirely navigable waterway to serve as a supply line between Montreal and Kingston using the Rideau and Ottawa rivers. It was to be cut 126 miles through a wilderness of forest, swamps, and rocky terrain far enough removed from the Saint Lawrence River to be easily defended in case of invasion by the Americans to the south. For By, it didn’t work out as he hoped. For Canada, By’s canal is a treasure. Born at Lambeth in 1779, to a family of watermen, By entered the Royal Military Academy, Woolrich, in 1797 and was commissioned two years later. Initially commissioned to the artillery, he transferred to the Royal Engineers later that year. He served in Plymouth for two years before being sent to Canada in 1802 where he worked on the first small locks on the Saint Lawrence and on the citadel at Quebec. Beginning in late 1810 he served under Wellington in the Peninsula but was recalled in 1812 when the Inspector General of Fortifications, Lt. General Gother Mann, appointed him commanding engineer of the new Royal Gunpowder Mills. After Waterloo, the need for engineers lessened, and By retired. John By was 47 when he was called out of retirement to build the canal. There’s every reason to believe he jumped at it. The Duke of Wellington is said to have chosen him specifically, but the orders came from General Mann who had also been his commanding officer during his previous stay in Canada. Both men had confidence with him at the beginning. Never one to take the easy or obvious way, By began making controversial decisions almost immediately upon arrival in 1826. Instead of setting up housekeeping in Kingston, which already boasted not only a fort and navy base, but also a growing town, he moved his family and set up at the mouth of the Ottawa where there were at most a half dozen households. Even as the Royal Engineers began laying out the plans for the waterway, By laid out plans for a town to be called Bytown to house his headquarters, his home, barracks, and housing for workers. His town is now called Ottawa and is the capital of Canada. There had been earlier surveys of the country, and some recommendations for much more modest plans than those ultimately carried out. By resurveyed and determined to lay out the waterway using the Rideau River and lakes, canalizing the route where needed, building locks and dams along the way. Contract labor began clearing land that winter. The single most important decision was to build the locks and canals wide and deep enough to handle the new naval steamships. The original, narrower plans were designed for typical river craft such as Durham boats. In spite of opposition in London, a compromise plan dictated only slightly smaller construction. Building for steam power is typical of By’s far-sighted approach. In six years By, the engineers, and the contractors had managed the project, with most of the work done by hand by primarily Irish and French workers. They built approximately 50 dams, 47 locks, and blockhouses for defense. The Stone Dam at Jones Falls was the third largest dam in the world when it was built. The eight massive locks at Bytown are still a wonder, and, yes, it accommodated navel steamships. An estimated 1000 men died in the process. By himself contracted malaria, probably as a result of his insistence on inspecting work camps himself. He demanded money for a hospital and housing, and his requests were not always well received. My Lords further desire that Colonel By may be forthwith ordered to return to this country, that he may be called upon to afford such explanation as My Lords may consider necessary upon this important subject. The “important subject” was cost overruns and questionable permissions. The committee that examined him grudgingly allowed that the work had been done with care and that most of the cost was unavoidable, but in the end they issued a reprimand for allegedly unauthorized expenditures, which he denied. Instead of the commendations he expected, By was forced out. He struggled to clear his name unsuccessfully. In failing health, he retired to his home in Sussex. Even as he lay ill, his wife continued to write to people begging for help removing the stigma which she believe contributed to his decline. He died, probably of malaria, in 1836. And the canal? It never served the military purpose for which it was intended, but it opened Ontario to settlement and served as a commercial highway throughout the nineteenth century. It is now a UNESCO World Heritage Site, largely used for recreation, and those pesky Americans are welcome to come up and enjoy the still functioning locks and canals. Want to know more? Try these. Betrayed by his cousin and the woman he loved, Rand Wheatly fled England, his dreams of a loving family shattered. He clings to his solitude in an isolated cabin in Upper Canada. Returning from a business trip to find a widow and two children squatting in his house, he flies into a rage. He wants her gone, but her children are sick and injured, and his heart is not as hard as he likes to pretend. Meggy Blair harbors a secret, and she’ll do whatever it takes to keep her children safe. She’d hopes to hide with her Ojibwa grandmother, if she can find the woman and her people. She doesn’t expect to find shelter with a quiet, solitary man, a man who lowers his defensive walls enough to let Meggy and her children in. Their idyllic interlude is shattered when Meggy’s brutal husband appears to claim his children. She isn’t a widow, but a wife, a woman who betrayed the man she was supposed to love, just as Rand’s sweetheart betrayed him. He soon discovers why Meggy is on the run, but time is running out. To save them all, Rand must return and face his demons. “Let go of her, Blair, or I’ll shoot you like the dog you are. God knows you deserve it.” For untold minutes all Rand heard was the wind in the trees, and Lena’s whimper behind Pratt’s back. Even Meggy seemed to hold her breath. Rand kept his pistol aimed at Blair while the men mounted and turn their horses to the lane. Pratt and Martin galloped up the hill and into the woods, but Blair turned half way up and pointed back at Meggy hugging the children in Rand’s doorway. “They’re mine, Wheatly. I have a writ. I’ll be back with the magistrate and the deputy to have you jailed for resisting. Won’t your fancy relatives like that?” He turned and galloped off. Rand eased back the hammer of his pistol, when the men cleared the trees. He slid it into a holster, jumped down, and ran to Meggy and the children, pulling all of them into an embrace. Meggy began to weep almost as soon as his hand came around her back, pulling her close with Lena between them and Drew in the crook of his arm. “You might have killed him, and then where would we be?” she sobbed. He didn’t deny it. He kissed the top of her head and down her cheek. Award winning author Caroline Warfield has been many things: traveler, librarian, poet, raiser of children, bird watcher, Internet and Web services manager, conference speaker, indexer, tech writer, genealogist—even a nun. She reckons she is on at least her third act, happily working in an office surrounded by windows while she lets her characters lead her to adventures in England and the far-flung corners of the British Empire. She nudges them to explore the riskiest territory of all, the human heart. Thank you, Susana, for hosting me today! This month I’m celebrating the second anniversary of the release of my Regency novel, Bella’s Band. This tale is romance and adventure in almost equal measures, with a murder mystery thrown into the mix. I’m giving away a Kindle copy of the book to one lucky commenter. One of the pivotal scenes in Bella’s Band takes place during a perilous journey by coach through the English countryside, and the need for more information about Regency travel led me to an amazing work of nonfiction, English Country Life 1780-1830, by E. W. Bovill. I opened the book and plunged head first into the research rabbit hole: hunting, turnpikes, enclosures, highwaymen, servants, house parties, poaching, rioting and the birth of rail—there is much detail in this book to please both authors and readers of Regency romance! For example, those familiar with travel in this era know about postilions, or postboys, the men who “steer” traveling chaises from one posting inn to the next by riding them. Bovill tells us that at a large inn, there would be one postboy to every four horses, and the postboys paid the inn’s horsekeeper, as much as eighteen pence a week each. Bovill says, “The postboy, who was seldom young and often a rather decrepit old man, had usually started life in a gentleman’s stables and come down in the world.” That certainly clashes with my image of a boy, perhaps a teenager, riding post. As it turned out, my heroine, Annabelle Harris, has no need for postboys. She flees from the hero in a wealthy friend’s private coach with a coachman, a maid, and two little boys, on a perilous Christmas Eve journey. When the coachman falls ill at a stop, a new man steps in and her troubles begin. Or perhaps I should say, begin anew! An earlier carriage ride, this one in London, is also fraught with peril for Annabelle (see excerpt below). A random commenter will win an e-copy of one of Alina’s books. Bullets, blades, and incendiary bombs—Major Steven Beauverde, the latest Earl of Hackwell, belongs in that world, and is determined to get back to it. His brother’s murder has forced Steven into a new and completely unwanted role, and worse, he has no idea how to salvage his family’s depleted estate. A rumor that his brother had a son by a woman who may be a) the murderer, and b) his brother’s secret wife, sets Steven on a mission to find her, the boy, and—Steven ardently hopes—the proof of a marriage that will set him free. Confirmed spinster Annabelle Harris is a country heiress with a penchant for taking in orphans and helping the downtrodden. 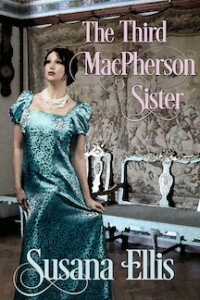 Her philanthropy hides her desperate search for her disgraced sister, the mistress to the Earl of Hackwell. When the Earl is murdered, her sister thrusts her child into Annabelle’s care and disappears. Now, with suspicion pointing at the sister, Annabelle has begun a new quest, to find the woman, and clear her name. When their paths converge, the reluctant Earl and the independent spinster find themselves rethinking their goals, and battling the real murderer together. Surprise pinned Annabelle to the cracked leather seat of the carriage and finally her heart restarted and picked up its pounding. “Good evening, my lady.” Lord Hackwell flashed her a wide, easy smile that made his face glow like a boy who had pulled a very fast one. The shock eased. She realized she felt not one whit of fear. A ribbon of sensation uncurled in her secret places. The space between her and Lord Hackwell had shrunk, and his dark eyes showed more than an interest in her pedigree. Her nerves tingled with the anticipated pleasure of a repeat of the earlier kiss. Sudden tears pricked her eyes and she turned quickly to the window. Robby and Thomas would have loved Ryeland. With acres and acres of freedom and kind neighbors, they could have played for hours and had adventures that didn’t involve cutpurses and the Watch. “No, Lord Hackwell. My family home was entailed. The cousin who inherited, I’ve only met once, at my father’s funeral.” And his invitation to linger had been merely perfunctory. Besides, staying in the district of her childhood would beg questions about Veronica. He hadn’t asked about sisters. That was curious. Perhaps he suspected her relationship with Miss Miller was more than a friendship, and was coming to the question, inch by torturing inch. His eyes widened and he went very still, examining her. The air around them seemed charged with a kind of explosive tension. “Astonishing, isn’t it?” She waved a gloved hand in the air, and he captured it. She could only laugh at that and shake her head. She receive a voucher for Almack’s? Ridiculous. “No waltzing, Miss Harris?” His manner remained intense. He straightened in his seat and his eyes looked ahead. “But you have counted ploughs,” he said thoughtfully. Tears pricked again, suddenly and unexpectedly. What a dismal woman she was. Too plain, too proper, too practical. Alone in a closed hackney with a devastatingly handsome man, and they were talking about farm equipment. Never had she felt more desire to be younger, prettier, more daring. This must have been how Veronica had felt. Her heart filled with compassion and grief. “Ye—yes. Ploughs. Very important they’re correctly deployed. Fate of the tenants’ crops and the estate’s income depends upon them.” She sniffed. She shook her head and tried to compose herself. His mouth had grown taut and his hand had tightened over hers, so that she could feel his tension. He let his fingers caress her neck, distractedly, as though the gesture comforted him, like petting a favorite hound. Comforting to him; deliciously unsettling to her. Pleasure rippled through her at each touch. She held her breath, lest his fingers pause too long in his search for his next words. And before that too, at every step of his motherless, fatherless life, she’d warrant. As in the children’s game she played with the boys, Annabelle drew out a hand from the pile and pressed his between hers. And her heart skipped with a realization. Lord Hackwell had no family except Robby. She felt his eyes fixed on her. He drew her head closer and she could smell his woodsy clean scent, so intensely male. The carriage passed by a street lamp and into a dark stretch, and she could no longer discern the outline of his face. Her heart tingled and her breath came in short little huffs of anticipated pleasure. She tensed remembering her chat with Lady Rosalyn. 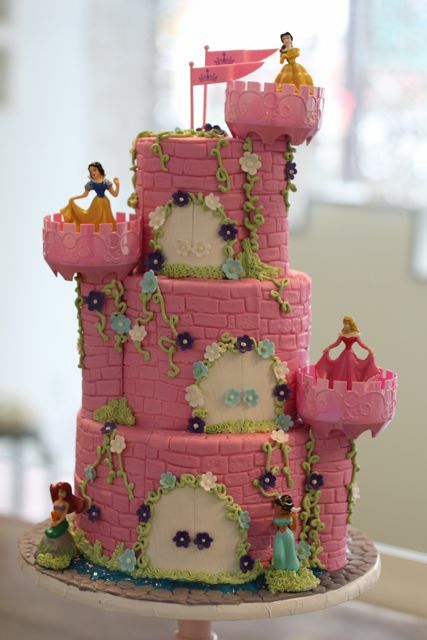 “It is Belle. How very appropriate.” He kissed her hand. Dear Trish. Annabelle pushed at the seat and squirmed, with no success. He still held her fast. “I’ve found that servants know everything and talk prodigiously.” He dropped a kiss on her nose. Annabelle bit back a disagreement and stilled. In a properly run household, gossip was squashed. The poor man had never lived in a properly run household. His lips hovered over her and she waited. He’d kissed her nose. Perhaps he’d been aiming for her mouth and missed. She wanted one more kiss. She would be safe. In a carriage on a public street, he wouldn’t attempt to take more. Steven held himself an inch away from her lips. Her nose had been cold, but heat radiated between them, holding them in a warm cocoon. She smelled of plain soap and faint lavender. There was nothing cloying about Miss Harris. He’d breached a line of defense with the use of the pet name. Bella. She wanted him to kiss her. Not yet. Not yet. She was lovely, and innocent, and perfect. He was known for his quick thinking under duress, and he’d made up his mind. He would do this honorably. He was not his brother. It would not be a seduction. “What?” She jumped a full inch from the seat before settling back. Award winning author Alina K. Field earned a Bachelor of Arts Degree in English and German literature, but she found her true passion in reading and writing romance. Though her roots are in the Midwest, after six very, very, very cold years in Chicago, she moved to Southern California and hasn’t looked back. She shares a midcentury home with her husband and a blue-eyed cat who conned his way in for dinner one day and decided the food was too good to leave. She is the author of the 2014 Book Buyer’s Best winner in the novella category, Rosalyn’s Ring, a Regency novella, the novel-length sequel, a 2015 RONE Award finalist, Bella’s Band, both Soul Mate Publishing releases, and a prequel novella, Liliana’s Letter, a 2016 National Reader’s Choice Award finalist. The heroes and heroines of Caroline Warfield’s Dangerous series overcame challenges even after their happy ending. Their children seek their own happiness in distant lands in Warfield’s new Children of the Empire series. In The Renegade Wife, first of the new series, reclusive Rand Wheatly finds contentment in his remote cabin in Upper Canada, intent on making his fortune in timber, until his precious solitude is disrupted by a woman running from an ugly past. He quickly realizes she wasn’t what she claims, but now she’s on the run again and time is running out for him to save her. Caroline is celebrating with a GIVEAWAY on her website. I hope this note finds you well and that the severe storms of last week did not interfere with the children’s Christmas. I so sincerely planned to spend Christmas Day with the children, but a most urgent matter arose in the district of my birth regarding my maid’s cousin. Her husband, the vile man, was SELLING her, imagine! I trust you will understand my absence at your Yuletide table, and I will certainly relate the particulars to you later, though the matter has been resolved in a way that I am resigned to finding satisfactory. But Miss Harris, this is not why I’m writing. You will find the following information most irregular, perhaps, but I beg your indulgence and count on the liberality of your friendship. The weather being quite bad, I arrived only yesterday in London and am staying at the home of Viscount Cathmore, the most kind and gentle man who now has the estate that was once my family’s. Miss Harris, please do send a note back with my messenger and tell me that you will visit me here in Grafton Street tomorrow afternoon, for Lord Cathmore and I are to be married then by Special License. I am sending along some of Cook’s exquisite biscuits for the children, and you must plan tomorrow to stay for dinner and hear Hamish’s most generous proposals for the children. He is quite rich, and I do hope you will come and hear him out. Do let me know that you will come, for your friendship means so very much to me, and you must let me know if any of the girls are ready for service as I am in sore need of a new maid. When a young woman is put up for auction in a wife sale, Rosalyn Montagu seizes the chance to rescue her—and to recover a treasured family heirloom, her father’s signet ring. 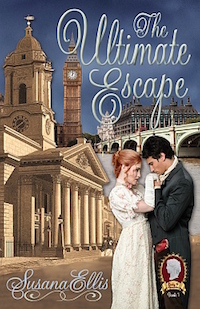 Her plans are thwarted by the newly anointed Viscount Cathmore who finds her provoking beauty, upper crust manner, and larcenous streak intriguing. 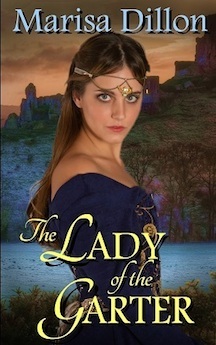 Her secrets rouse his jaded heart, including the truth of her identity—she is the woman whose home he has usurped. But more mysteries swirl around Rosalyn’s past, and Cathmore is just the man to help her uncover the truth. The crowd rumbled angrily. Mindy spoke, but Rosalyn could not hear her words, and a hard look from Ned Morgan silenced his property. Mindy cast her eyes down until he turned away, then went back to her bold appraisal of the crowd. Her heart pounding, she nodded. Her limit? Surely the notes in her boot were more than enough to outbid this lot. She would hope to not go that high; it would mean an entire year of leanness, not just for her, but for the orphans. And yet, a woman should not be sold, even if it meant no sweets for the children and Rosalyn’s own sacrifices. “I will tell you when to stop,” she said. “Then get on with it,” Ned Morgan shouted. The wizened auctioneer rapped the bar again and called for bids. “Tuppence, I said.” The bid came again from the bar. That voice came from nearby, and Rosalyn recognized it. Mr. Logan’s strong tenor resonated with determination. He exchanged a look and a nod with Cathmore, and smiled at Mindy, who sent him a glowing smile in reply. Rosalyn tasted bile. They all knew each other. Cathmore, Logan, Morgan. “Bid three shillings,” Rosalyn hissed at Cathmore. He called out her bid and sent Logan the smallest of shrugs. Logan countered, Morgan pounded, and Rosalyn looked for Nelly. Nelly had moved closer to Ned Morgan, her eyes glittering with excitement. Not pain, not worry over her cousin, and not desire to hold her baby nephew. Hot anger spiked in Rosalyn. The cause was just, but the drive to come here had been Nelly’s. That she had no interest in the babe did not surprise Rosalyn—Nelly didn’t like children—but her gaze was on Morgan, not Mindy. A commotion at the center of the room drew everyone’s eyes. Two men had squared off, their jaws moving, their fists poised. Morgan shouted at the auctioneer, the men, and the crowd, and sent angry glares at Logan and Cathmore. His eyes landed on Rosalyn and he bellowed louder. Rosalyn could not keep track of the bidding, but she could hear Cathmore’s rumble and the auctioneer’s, and the melodic, determined tones of Logan. Behind them, another melee flared. The auctioneer pounded, and men shouted. A body veered and pushed her at Cathmore, who caught her close and led her quickly away from the trouble and into the private dining room. Rosalyn struggled to breathe. His arms held her loosely, but his nearness took her breath away. No man had ever held her like this, and she had trouble finding her composure. His lips pressed down on hers and silenced her. She is the author of the 2014 Book Buyer’s Best winner in the novella category, Rosalyn’s Ring, a Regency novella; and the novel-length sequel, a 2015 RONE Award finalist, Bella’s Band, both Soul Mate Publishing releases. Often, when reading historicals (Over four decades now! Gads!) I’ll read something and not think twice about it. In this instance, I’m talking about lumps of sugar, you know, as in, Do you want one lump or two in your tea? For years, I mistakenly assumed it was the British way of referring to sugar cubes, which weren’t patented until 1843 by Jakub Krystof Rad who operated a sugar refinery. According to history, his wife sliced her finger cutting a lump of sugar and complained that sugar should come in a convenient size for a teacup. Being a dutiful husband, he created the nifty little units we take for granted today. The English, however, had to wait until 1875 for the luxury of sugar cubes on their tea trays. 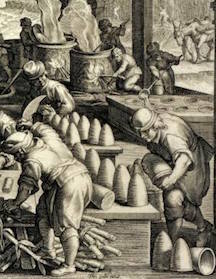 Until the late nineteenth century, sugar was purchased in whitish cone-shaped loaves or pieces hacked from a loaf with a chisel and hammer (Hard stuff-those loaves!). 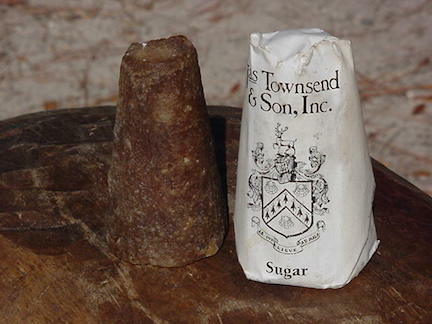 After a lengthy refining process, the sugar was poured into cone-shaped molds with a small hole in the bottom to let the dark syrup drain out. To whiten the sugar, a solution of dissolved loaf sugar or white clay was repeatedly applied to the large end of the loaf, and as the liquid drained through the sugar, it purged any remaining molasses or dark coloring. Once tapped from the molds, the sugar was wrapped in blue paper to enhance the whiteness. The largest loaves (called bastards) were lower grade sugar, and as you can imagine, the smaller loaves were extremely expensive. After purchasing whatever quality of sugar the mistress of the household could afford, how did she fill her sugar basin? She couldn’t very well pass around the entire loaf and ask her guest so take a lick! I did read sometimes larger chunks were simply dunked in the tea because they wouldn’t fit into the cup. Those were dried and used again. I’m truly hoping not by different guests. The elite ladies of the ton, weren’t about to get their dainty fingers sticky, no indeed. Plucking a lump or two from a china sugar basin with tongs was much preferred. But, how to get those neat little lumps? First, a section of sugar had to be hammered from the loaf, and then nippers—an iron plyer-like tool—were used to lop of a hunk. That in itself was no easy chore. 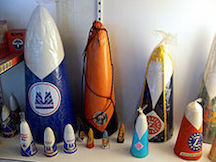 The larger cones weighed thirty pounds and measured fourteen inches tall with a three foot base. 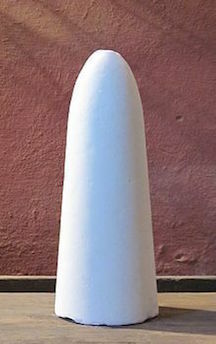 The higher quality cones used for tea typically weighed between one and three pounds with only a six-inch base and were much more manageable. Still, no convenient granulated sugar or cubes for those Regency biscuits or tea! 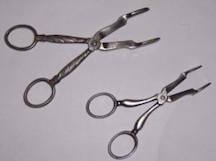 Some nippers came on stands so the user could put their weight into nipping off a piece of sugar. Naturally, tidy, uniform lumps were preferred for serving guests, and that chore generally fell to the mistress of the house or a highly trusted servant. Sugar, like tea, was expensive and both were often kept in locked chests or caddies to which the mistress kept the keys. 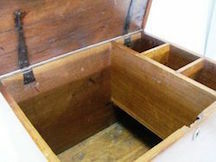 Some sugar chests had compartments for powdered and granulated sugar. Just how did the cook come by powdered and granulated sugar? 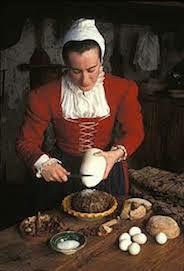 The lumps were pounded or grated to create granulated sugar and a mortar and pestle was used to make powdered sugar. Now, don’t you have even more appreciation for those elaborate confections nibbled by callers as they whispered about the latest on dit over a steaming cup of sugar-sweetened tea? 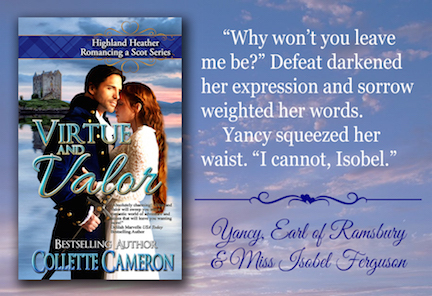 In my new release, Virtue and Valor (Highland Heather Romancing a Scot, Book 2), Isobel enjoys a morning cup of tea. Bartholomew Yancy never expected to inherit an English earldom and had no intention of marrying. Now, the Earl of Ramsbury and last in his line, he’s obligated to resign his position as England’s War Secretary, find a wife, and produce an heir. Only one woman holds the least appeal: Isobel Ferguson, an exquisite Scotswoman. Brought to Scotland to mediate between feuding clans, he doggedly woos her. Disillusioned with men pursuing her for her attractiveness, rather than her unusual intellect, Isobel has all but abandoned any hope of finding a husband in the Highlands. Not only does she believe Yancy no different than her other suitors, he’s a notorious rake. She’s been told he’s practically betrothed. Therefore, his interest in her cannot possibly be honorable, and so she shuns his attentions. 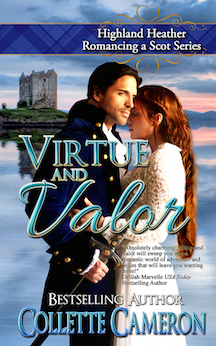 When Isobel is mistakenly abducted by a band of rogue Scots, Yancy risks his life to rescues her. To salvage her compromised reputation, her brother and father insist she marry him. Yancy readily agrees, but Isobel—knowing full well she’s fated for spinsterhood by refusing his offer— won’t be coerced into marriage. Pouring a cup of tea, Isobel inhaled the heady scent. She added two lumps of sugar and a dash of milk before stirring the contents. She adored the smell of hot tea. The scent reminded her of her childhood. Every morning, Mother had gathered the children around her for a cuddle and enjoyed a cup with them. Lifting the hand-painted teacup to her lips, Isobel eyed the disgruntled maid stomping about the bedchamber, casting her astringent glances every now and again. “Suppose this means ye be plannin’ on wallowin’ about in the muck too.” Maura did exaggerate so. Isobel pointedly focused her attention on the ceiling to keep from rolling her eyes. “She was turned into a pillar of salt, not stone.” Isobel suppressed a chuckle and spread jam over a roll. “Lunar. The path of the moon.” Isobel smiled, pointing with a forefinger and drawing an arc in the air. Bestselling, award-winning author, Collette Cameron, has a Bachelor of Science in Liberal Studies and a Master’s in Teaching. 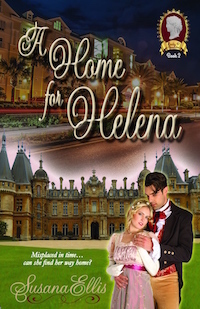 Author of the Castle Brides Series, Highland Heather Romancing a Scot Series, and Conundrums of the Misses Culpepper Series, Collette writes Regency and Scottish historicals and makes her home in the Pacific Northwest with her husband and five mini-dachshunds. Mother to three and a self-proclaimed Cadbury Chocolate chocoholic, Collette loves a good joke, inspirational quotes, flowers, trivia, and all things shabby chic or cobalt blue. You’ll always find dogs, birds, quirky—sometimes naughty—humor, and a dash of inspiration in her novels. Her motto for life? You can’t have too much chocolate, too many hugs, too many flowers, or too many books. She’s thinking about adding shoes to that list. Marisa Dillon will be awarding a $25 Amazon or Barnes and Noble GC to a randomly drawn winner via Rafflecopter during the tour. Click here for the Rafflecopter. Click on the banner above to follow the tour and increase your chances of winning. Susana: How did you come up with the idea for this book? Marisa: The inspiration for the story came to me after a trip I took back in time one autumn afternoon. I live in Ohio, and we have one of the largest and most authentic Renaissance Festivals in the country. 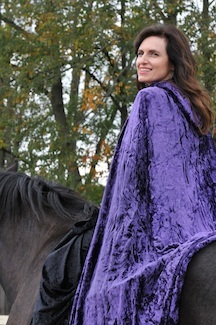 I even dressed the part and took a ride on a warhorse. I was inspired by what I saw. 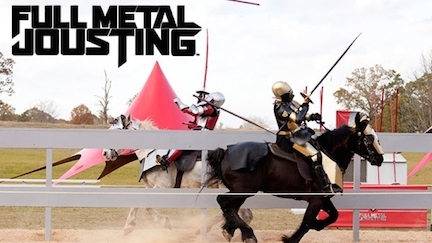 The jousting reenactments, danger, romance, chivalry, comedy, comradery. It was all there and I wanted to write a story about that world. Susana: Tell us more about the real history in this story? Marisa: I love the idea of chivalry and romance mingling together. In the late 15th century, the notion of the knight in shining armor was not a fantasy, but a reality (if history doesn’t lie). And as a lover of history and romance, I couldn’t resist researching and then writing about a group of knights who have been revered and served the English monarchy for generations. The Most Noble Order of the Garter was founded by King Edward III in 1348, holds the highest order of chivalry, and is the most prestigious group in service to England. 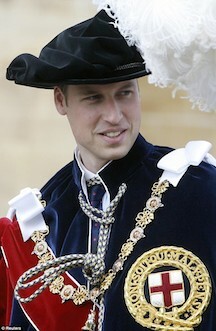 Even Prince William, Duke of Cambridge, serves as a Garter Knight today. As a homage to King Edward, I named the squire, who becomes a knight in my story, after the Garter’s founder, but there’s more to my squire than meets the eye. 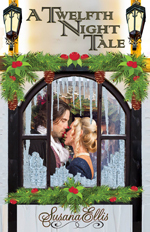 Susana: Many readers enjoy a historical romances. What kind of research did you do? Marisa: Well, as much as I like to think watching jousting matches at the Ren Fair would help me write a story that featured knights in tournaments, I realized early on, that I’d need to do something more in-depth. 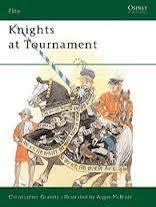 I was surprised to find that the Ren Fair had a book kiosk and stumbled upon a book called “Knights at Tournament,” by Christopher Gravatt. He told me what it felt like to be struck by a lance and how it impacted his body, liking putting him bed for a few days to recover after one brutal hit. Also, when it came to getting details about the 15th Century. I had these three books at my fingertips. 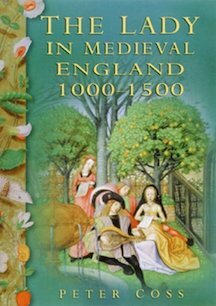 These resources helped me paint my pictures of medieval life and they also ensured my descriptions were accurate. 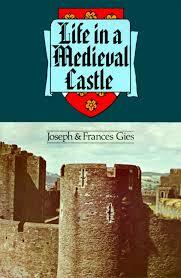 Words like bailey, porticus were imperative for the story to describe places in the castle. I also needed to know what period items of clothing were called in that era. A hauberk of chain mail and a houppelande gown, were items I described my characters wearing, helping to provide authenticity and provoke visual imagines for the reader. When Henry VII takes the throne, not all are loyal to the new king. Garter knight, Sir James, is charged with bringing dissenters to justice. Determined to fulfill his vows, he’s unprepared for Lady Elena, a girl from his past he’s never forgotten. 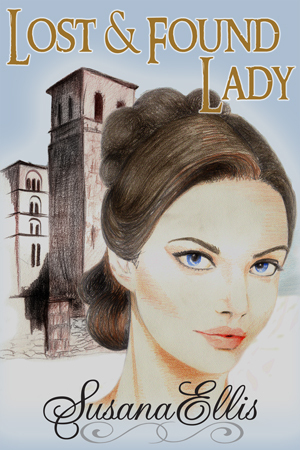 Lady Elena defies her family and disguises herself as a squire to reunite with the man she’s always loved. She might be able to wield a sword, but she still possesses a woman’s heart. Thrust into a world of danger and family rivalry, James and Elena face the ultimate test. Can James avenge his father’s death and find passion, or will his Garter oaths hold him to a life of service without love? Elena had prayed that James would rescue her, but not at the price he paid. How would she ever make this right? First, she’d lost his trust. Now he lost Dragon because of her carelessness. She fully expected to be escorted back to Warwickshire after they returned to Nunnery. She hoped it would be with anyone but James or she wouldn’t survive it. “God’s blood, woman, who do you think you are?” His deep, powerful voice made her cringe. He sighed, steering the horse underneath some trees. Then he turned so abruptly, she thought he’d strike her. She covered her face with both hands. But her heart was worthy. Perhaps not for knighthood, but for love. His love. And that seemed more important to her now. Although his criticism hurt, she knew he cared about her. His eyes showed it. She kissed him, her quivering lips met his. It was the only answer she could give. She needed to sate her unbridled passion. She wanted him. She wanted this. It might be her only chance before he came to his senses. When he finally released her, she whimpered and leaned into him, wanting more. He gazed into her eyes. Why had he stopped? 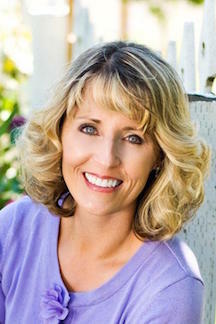 With a degree in journalism, Marisa has spent many years writing for the television industry. As an award-winning producer/director/marketer, she has worked on commercial production, show creation, product branding and social media. Marisa’s passion for writing began when her first-grade teacher read her poem aloud and posted it on the classroom wall. She soon followed up by writing plays for her neighborhood friends and hosting the productions in her garage. Marisa has always enjoyed reading romance novels and now realizes a dream come true, writing romantic adventures. She lives in Kettering, Ohio, with her first love and knight in shining armor, James. You can visit Marisa at: www.marisadillon.com. And you can connect with Marisa on Facebook.com/pages/Marisa-Dillon and Twitter.com/marisadillon.